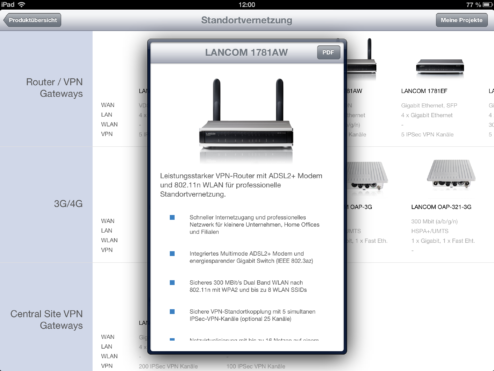 The iPad app “LANCOM Product Guide” offers valuable information on current LANCOM products for the areas of wireless LAN and network connectivity to its users. 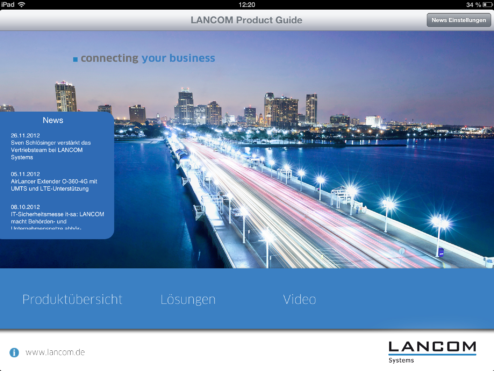 Every product is presented with detailed information and data sheets and shows many application possibilities for LANCOM solutions. 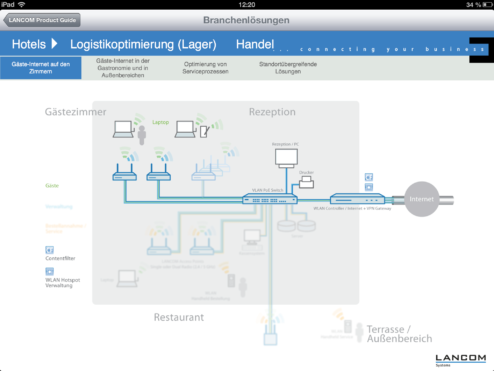 By clicking “Meine Projekte”, the user is able to create network projects, in which he can put products together and save them or send them via email. 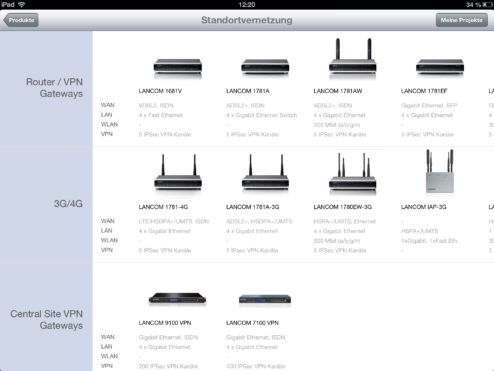 The user is also able to sign in for the LANCOM news channel so as to be always up to date.